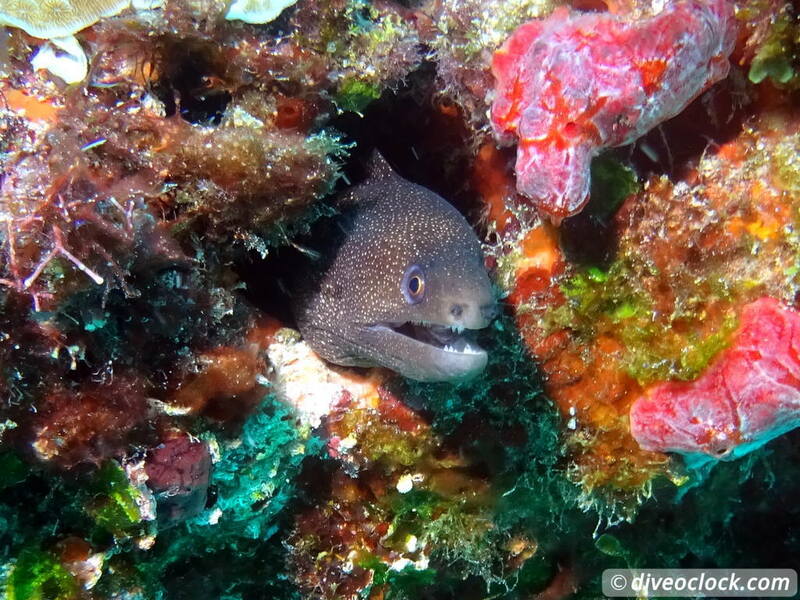 Isla Mujeres - The Best Dive Sites for Experienced Divers (Mexico) - Dive o'clock! 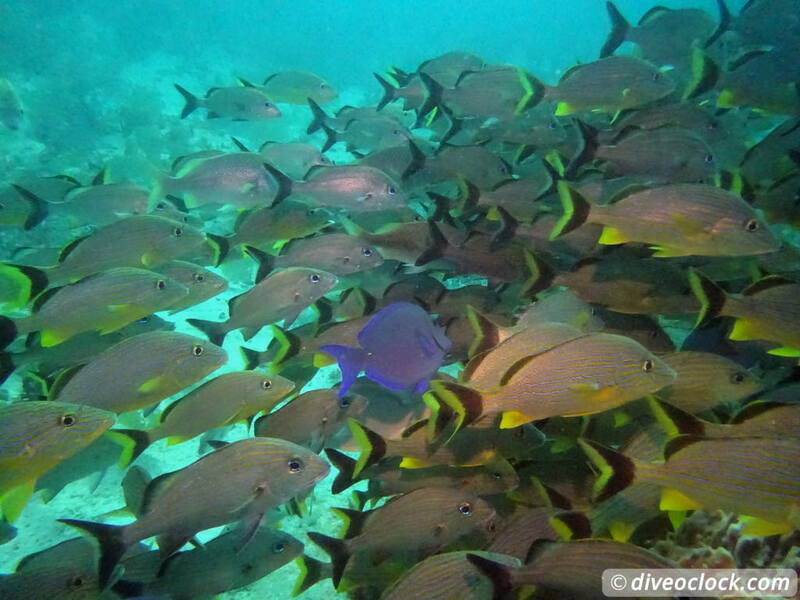 Isla Mujeres has many spots for snorkeling and SCUBA diving around the little Island, a short ferry ride from Cancun. 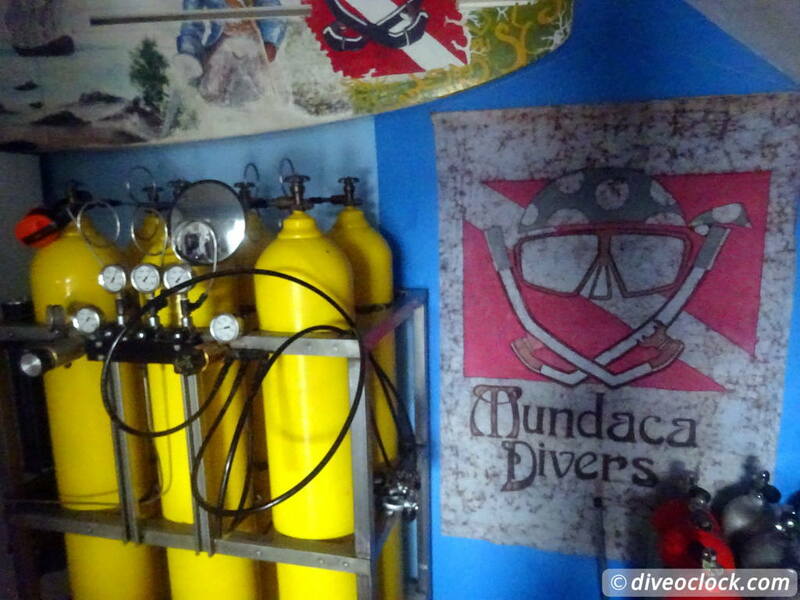 The underwater museum of art MUSA (Museum Musa Museo Subacuatico de Arte) is located just off shore and becoming a really popular dive site, especially for the less experienced divers. 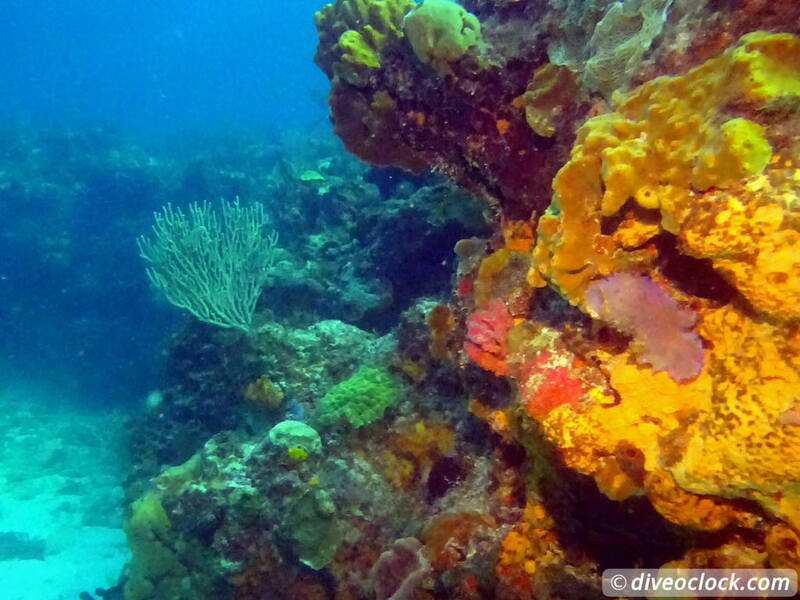 For me, as long as there is a natural formed coral reef you can find me diving the natural dive sites. 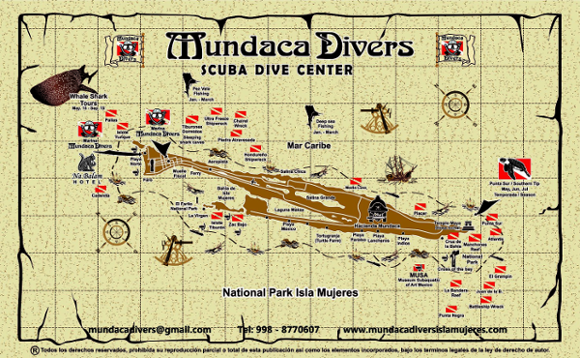 Have a look at the pirate/treasure map of the dive center, Mundaca Divers, there are some special marine life species to encounter throughout the year! Amazing creatures like eagle rays and turtles seem to be swimming in this part of the Caribbean Sea, close to the Gulf of Mexico. The real highlight around Isla Mujeres is Snorkeling with huge amounts of Whale sharks, something you should not miss! While I was there during the whale shark season I wanted to do some SCUBA diving too. 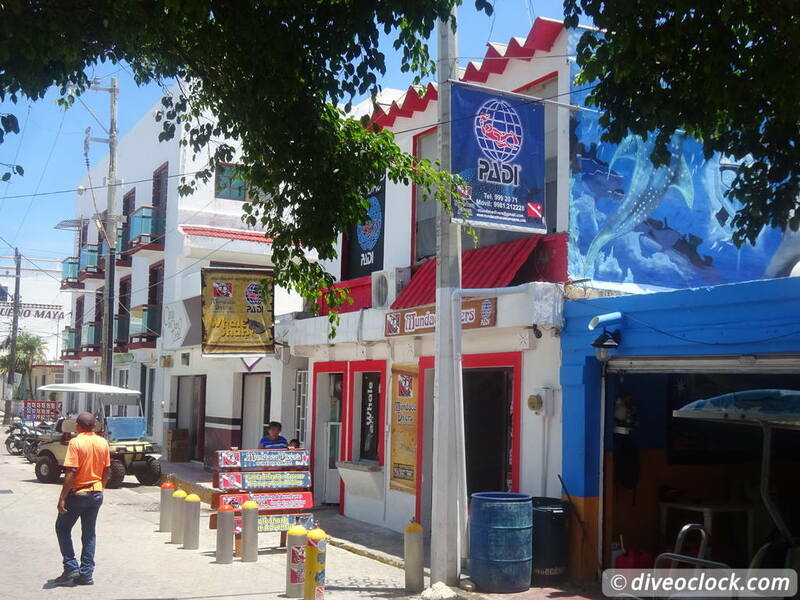 To figure out what the 'best' dive sites of Isla Mujeres are depends on what you would like to see and your experience level, no news there I guess. For me that is a lot of action on the reef, tons of fish, and preferably some macro (small critters). 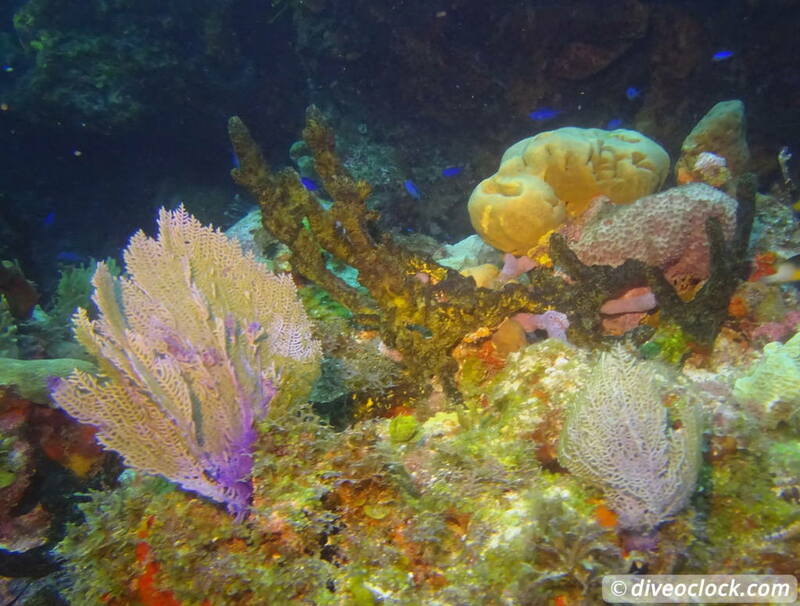 The best reef dive sites around Isla Mujeres are supposed to be Punta Negra and Punta Sur, both for experienced divers because of the possibility of having strong currents. 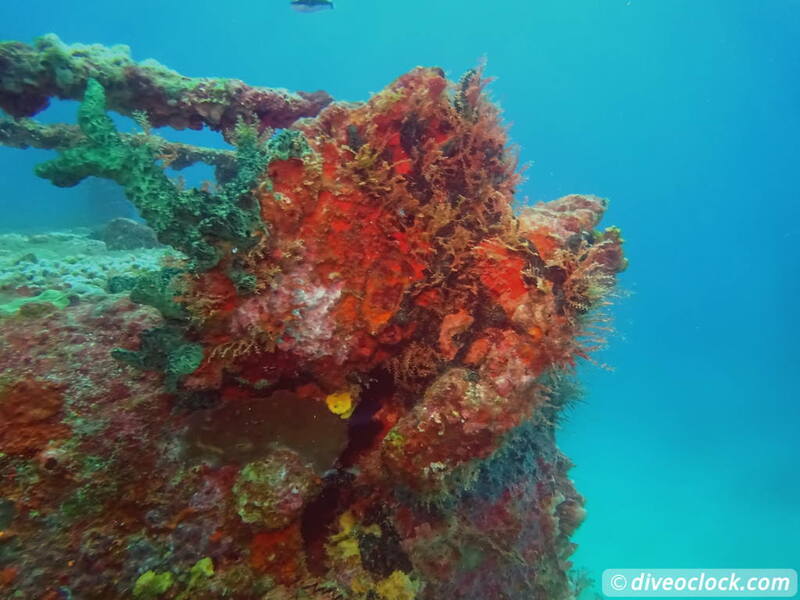 As there are often not so many experienced divers around, because they move to the mainland for the cenotes or Cozumel, I was hoping to go to these drift/wreck dive sites. 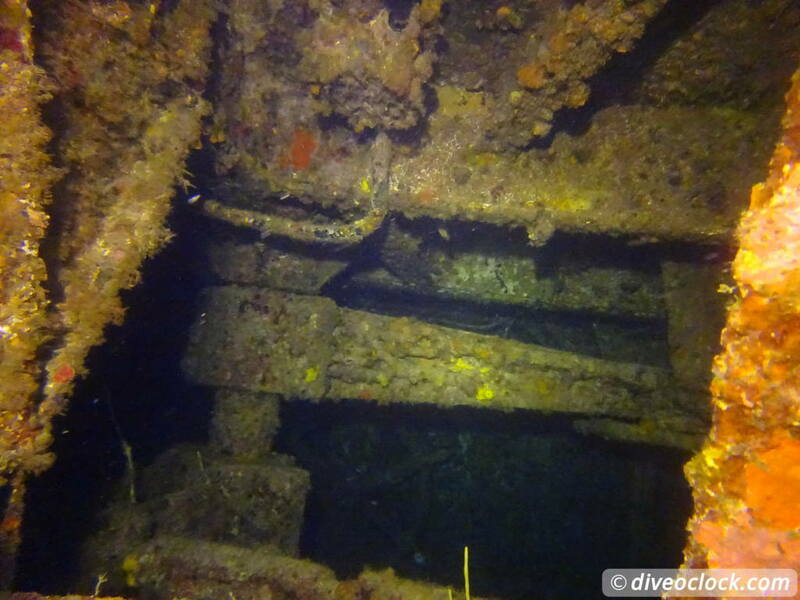 Luckily there was a group of more experienced divers around and I could join them on a trip to the wreck C58 and Punta negra reef. Famous for Wreck and reef dives, whale shark snorkeling trips (seasonal)! Marvel at Chichen Itza's massive El Castilo pyramid, swim in a cenote, and party in a steamy Caribbean cantina in Merida; all with your trusted travel companion. 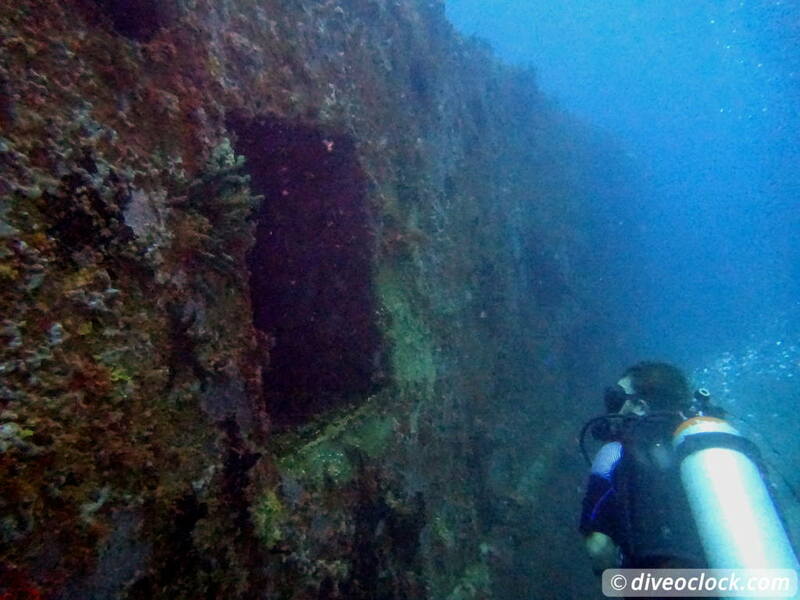 This wreck is a World War 2 minesweeper called Juan de la Barrera Battleship, General Anaya or USS Harlequin. 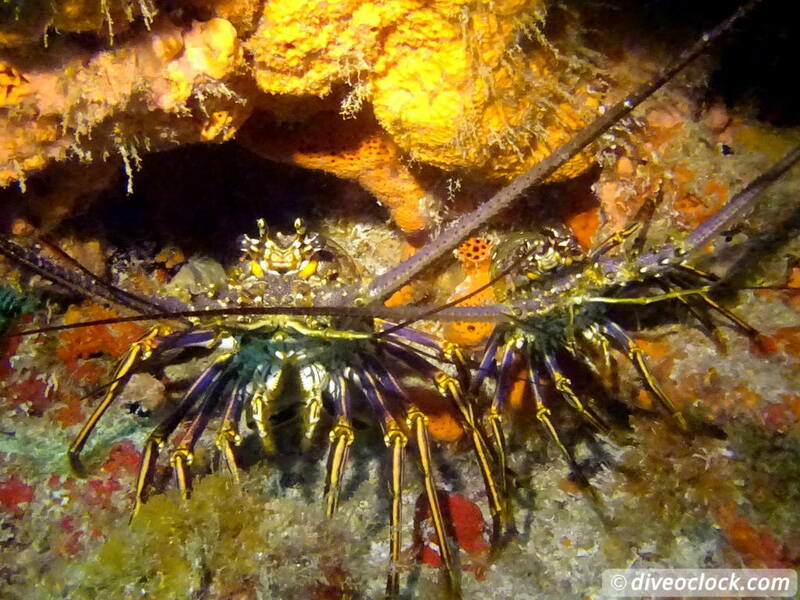 It is laying at about 25 meters depth and you can penetrate parts of it. 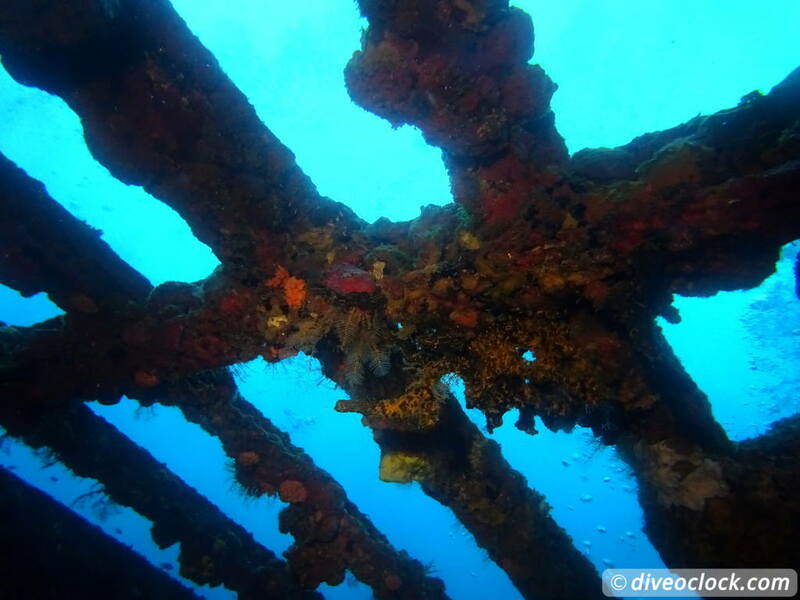 Unfortunately the eagle ray (migration) season does not overlap the whale shark season, so (as you probably know I am not a big fan of wrecks) it was time to look at some rust. 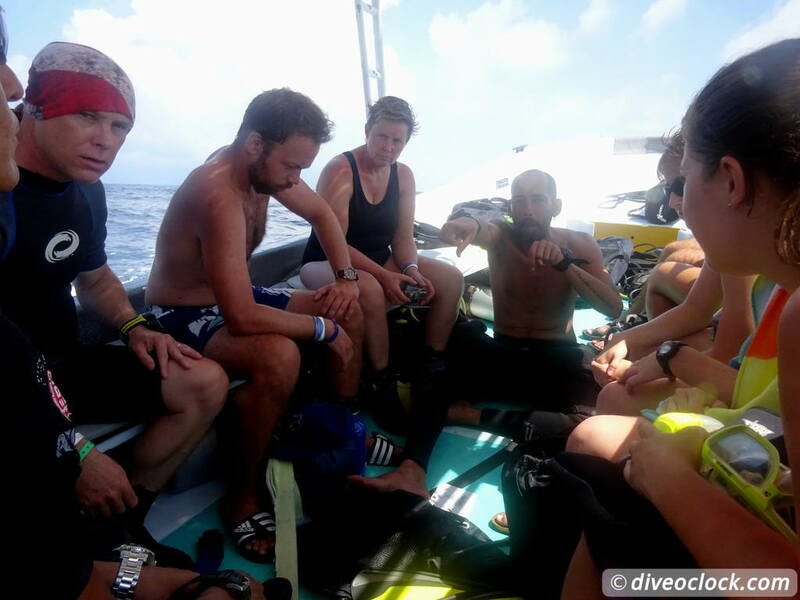 As currents can be really strong we got a long briefing from one of our dive guides, Piranha, on the procedures. We were dropped a bit outside of the wreck area to descent quickly (no negative entry) and let ourselves drift towards the wreck. The current was very mild, so it was an easy dive considering the conditions, but it can easily be a hit or miss dive. 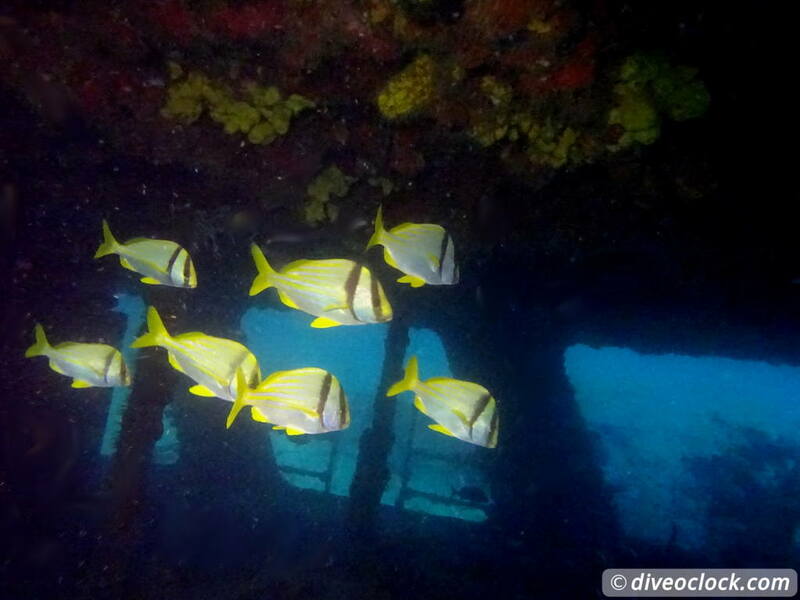 This is one of the most popular wreck dives in the area and especially with all the marine life inside it is special. 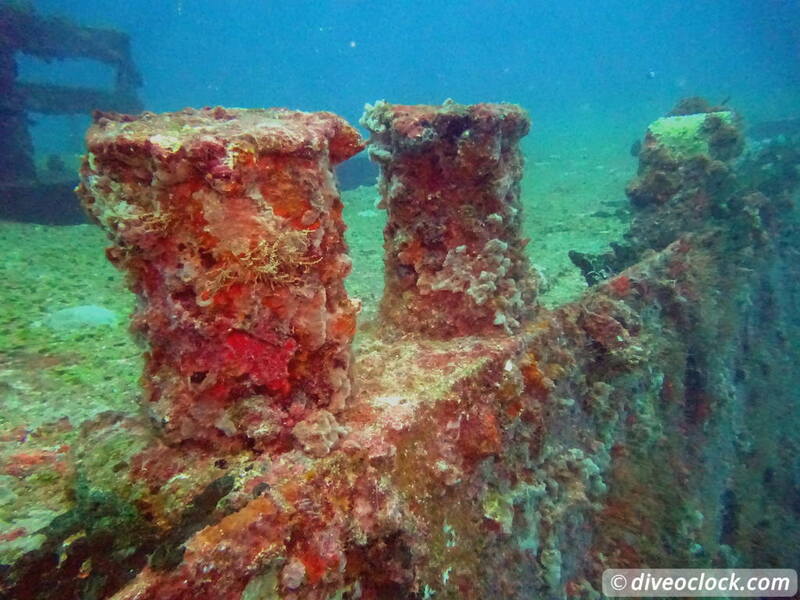 It was quite impressive to swim around the wreck two times and penetrate parts of it. 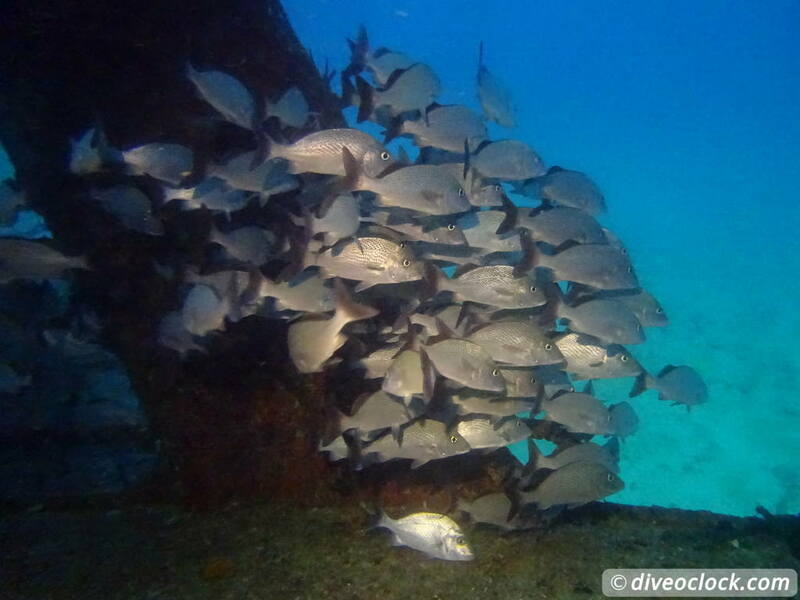 Especially the schools of fish searching for cover from predators and currents were beautiful. Well, this is what it is all about to me, seeing lots of fish shoaling around the reef. 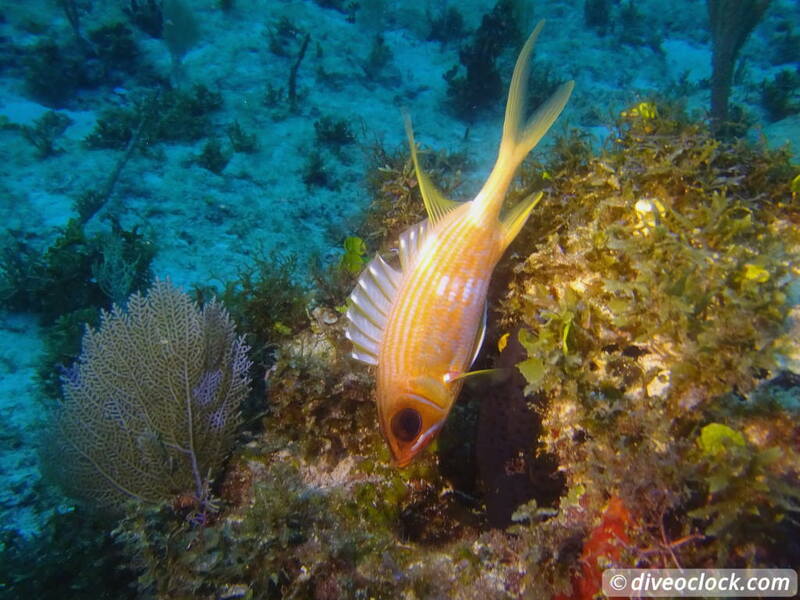 It was beautiful, fish everywhere at some parts of the reef. 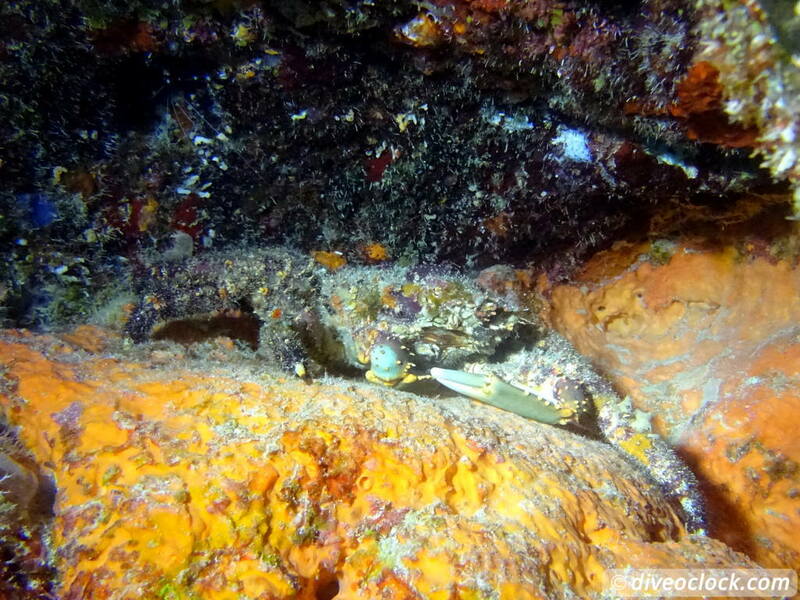 The reef was flat, a sandy area with ledges and some big rocks - perfect for critters to hide. 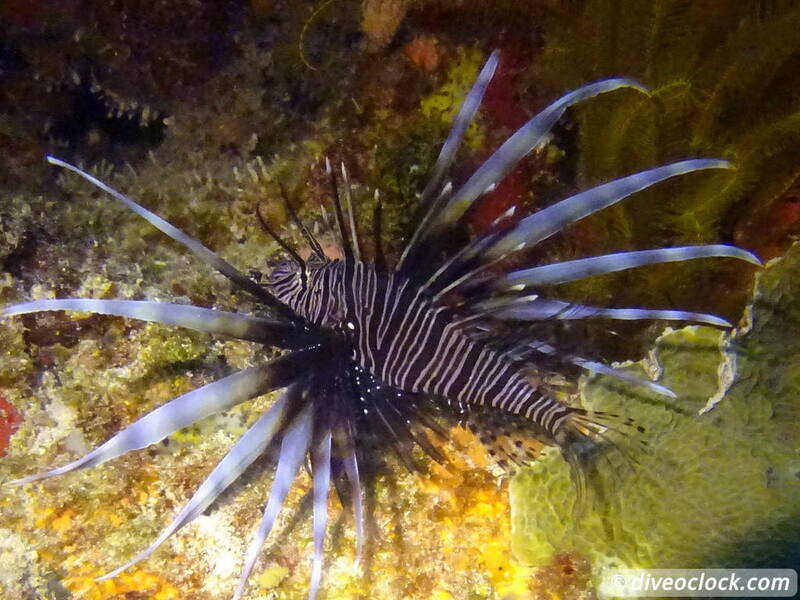 Again there was not a lot of current, easy diving and time to look around slowly for special creatures - perfect! 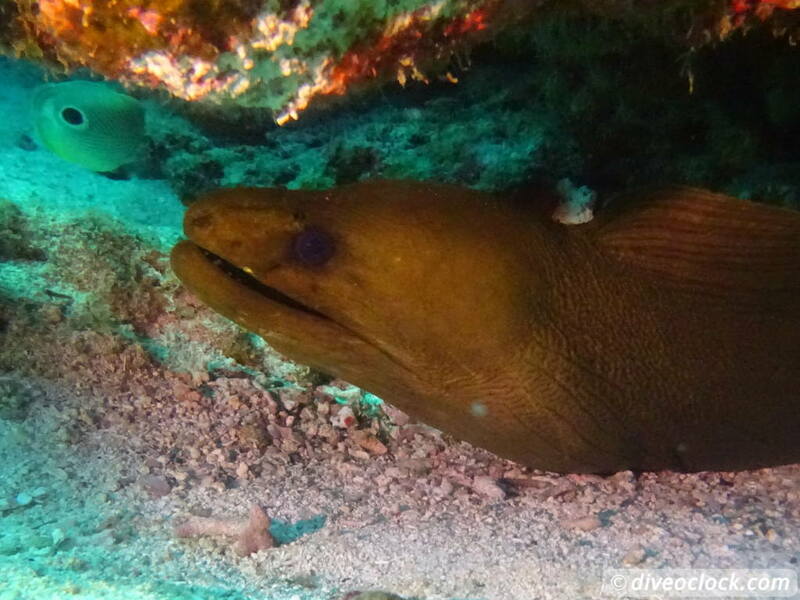 Many different species of moray eels were around as well as cleaner shrimps, even some lobsters, and a huge crab (Channel Clinging Crab I guess). 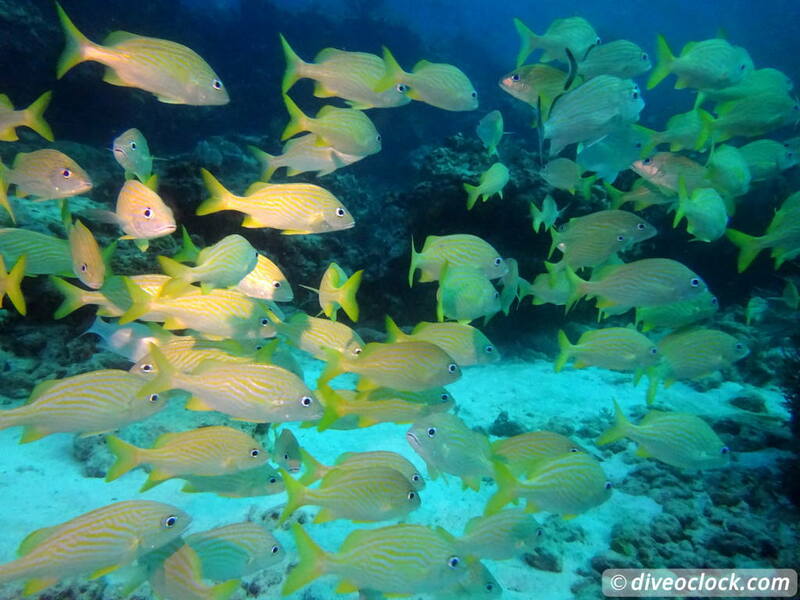 Grunts were the main attraction here, swimming and shoaling over the shallow reef in large numbers, beautiful. 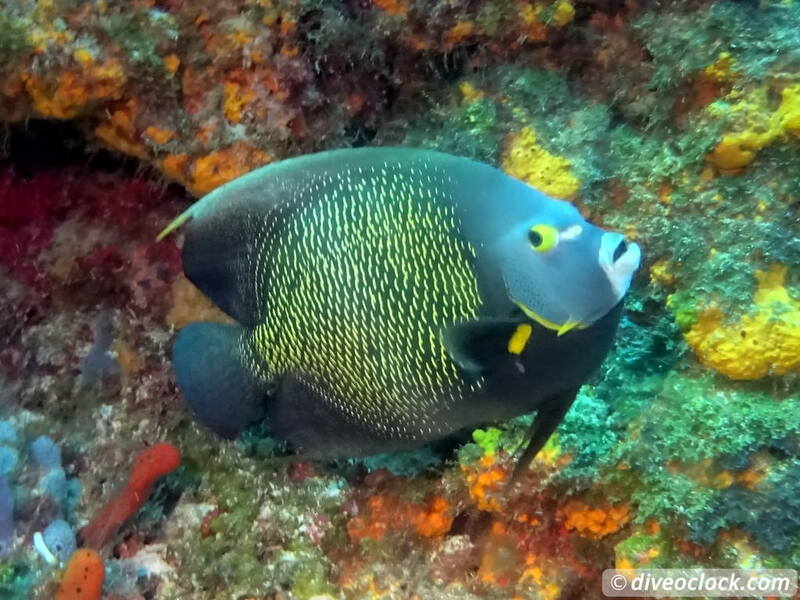 Definitely a dive spot to visit when you are staying on Isla Mujeres! We all surfaced together after about 40-45 minutes. 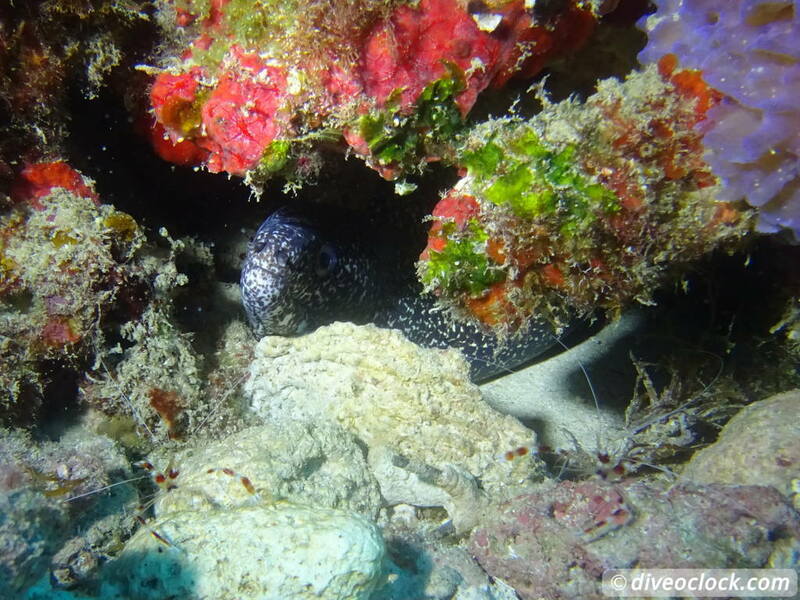 As I mentioned before I was lucky to join a group of divers to go the 'deep South' dive sites of Isla Mujeres. After the paperwork and sorting out equipment we all walked to the boat (a few hundred meters) while the tanks and dive equipment was already there and being set-up. 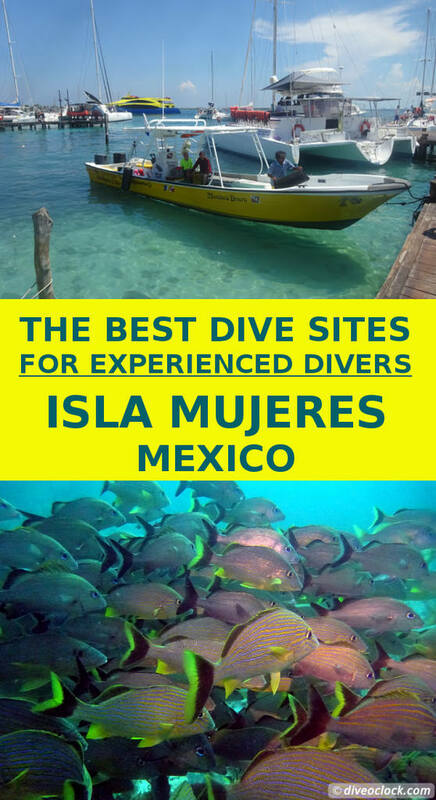 We got two dive guides that were just as excited as we were to go to these 'special' dive sites. The boat was pretty full with a group of ten divers, two guides and boat crew. Our dive equipment and all the dive tanks where strategically divided throughout the space on the boat. 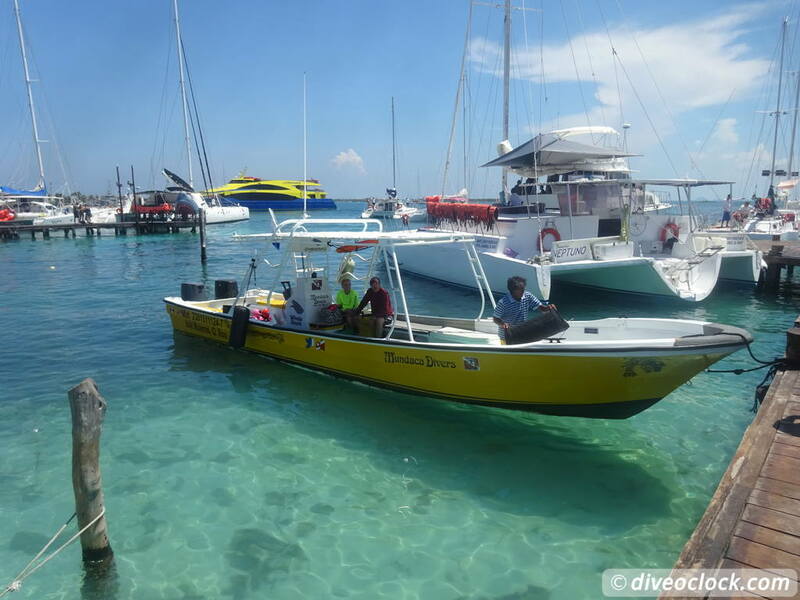 It is not a specially designed boat for diving, so no specific place for dive tanks, fresh water buckets, toilet or easy water entry. As it was about 45 minutes by boat that is not so bad in my opinion. A little bit less comfortable than my average in the Caribbean I would say. 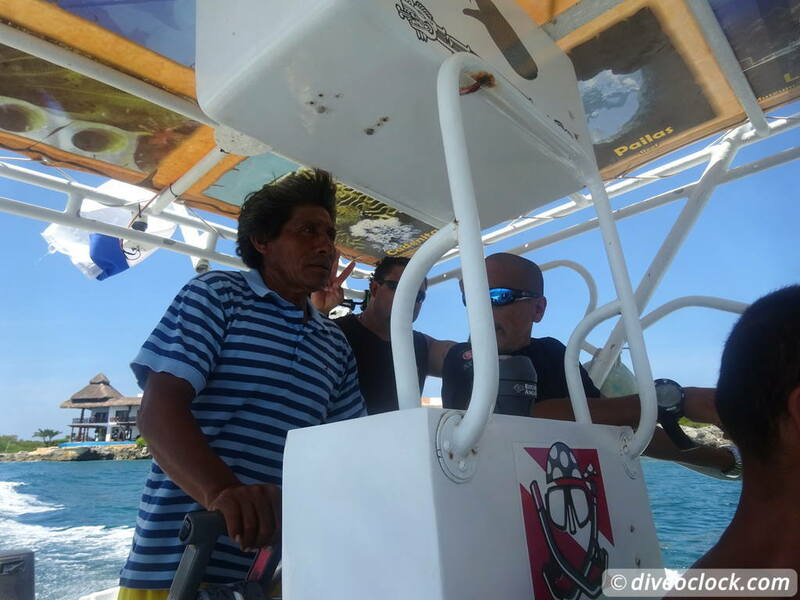 The crew was friendly and knowledgeable about the dive sites. The way they organize the trips probably comes from having many 'new' divers around. You are well taken care off in every way during the whole trip. Some snacks and drinks during the surface interval would have been nice, water and bananas for example. Because the dive sites are a bit offshore we waited on the boat and checked our surface interval time until we had enough bottom time to go back in the water. 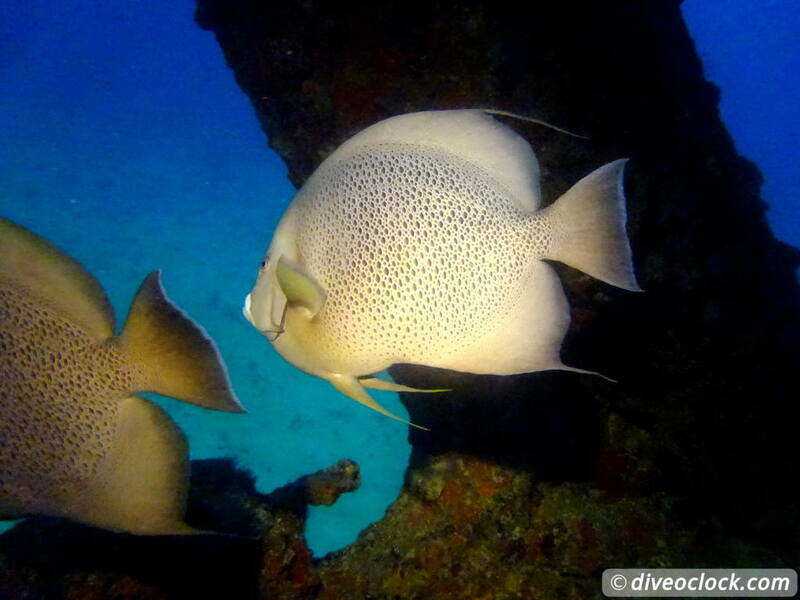 If you are visiting Isla Mujeres for the whale sharks, it is worth a trip to these dive sites!